For years I have enjoyed the works of Michael McHale. 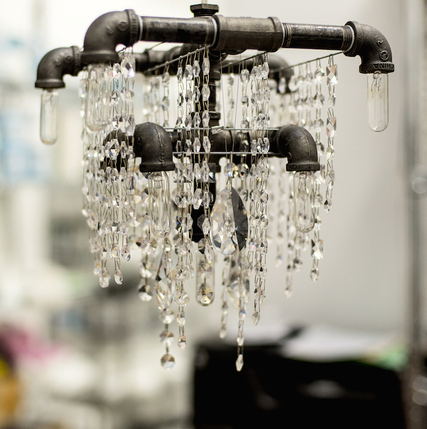 His mixed media chandeliers combine plumbing pipe and crystals and the result is exuberant fun elegance. "For most of his career, Michael McHale was an entertainment lawyer whose creative output consisted mainly of handling the legal work of creative people. A creative man who had stuffed down any impulse to create long ago, McHale was content to be around creativity rather than to create himself. This lifestyle choice has been called “adjunct creativity," and McHale found it deeply unsatisfying: Fed up with law but not sure what to do with his life, McHale walked into a design store one day to purchase a light fixture for his New York apartment. Unimpressed with either the materials or the message of what was on offer, he thought he could do a better job himself. What he ended up making proved to be more interesting than he had hoped. His choice of materials — industrial pipes and fittings drenched in fine crystal — conveyed a powerful message of what is capable of beauty when considered properly. The work became an affirmation of what’s possible– much like McHale’s own late artistic blooming. Since Michael McHale Designs began in the autumn of 2007, McHale’s work has been featured twice in The New York Times, in magazines such as Dwell, Interior Design Magazine, New York Magazine and in dozens of other design and lifestyle publications and blogs all over the world. 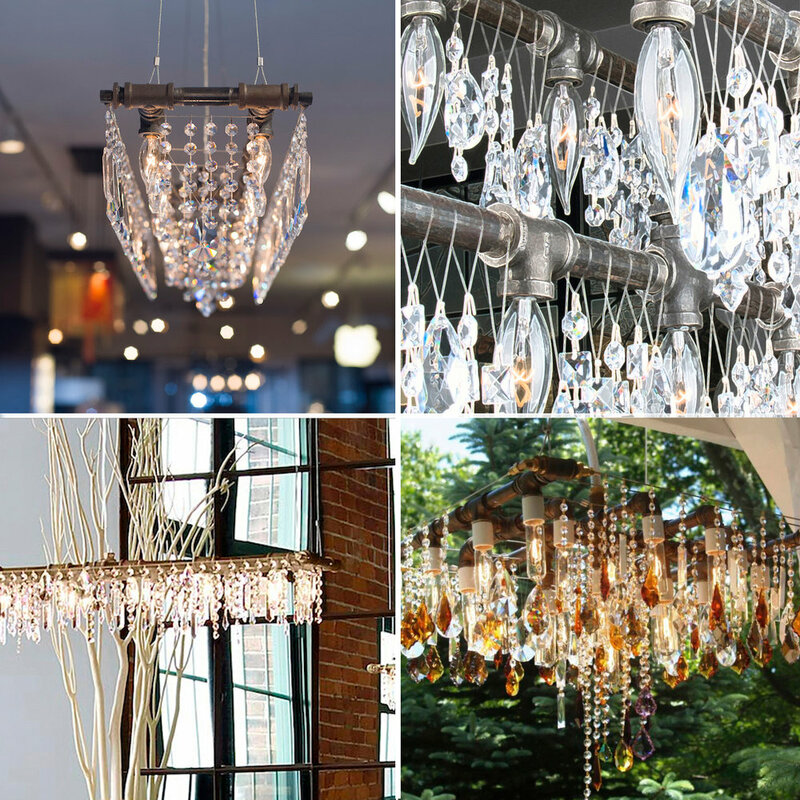 His chandeliers have hung in the living rooms of celebrities and tastemakers, industry big-wigs and design aficionados. McHale’s modern chandeliers have sparkled at the American Express VIP Room at Fashion Week in New York, in drop-dead Hamptons beach houses (both the kind with helipads and the kind without helipads but with really beautiful swimming pools), in Aspen ski houses and bars, in Qatari designer showcases, in Taipei living rooms — even in a Harley-Davidson showroom. You can see his work in restaurants and nightclubs from California to Moscow. It all looks just great." And now for my favorite photo: My black lab Finn, showroom dog as well as trained disaster dog, took my command to "Say Hi" to Amalia literally and jumped surefooted onto the counter. Here you see him under a Michael McHale Bryce Banqueting Chandelier. The Balance Collection is just one great example of the superb craftsmanship and design we have come to expect from Hubbardton Forge. I am dreaming of a room where this exuberant red chandelier would be a perfect fit.